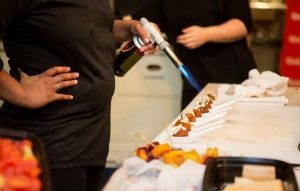 We are please to introduce you to a chef who brings her clients a wealth of culinary creativity. A graduate of the Culinary Management program at Fleming College, Chef Crystal Powell cooks from the heart and loves nothing more than to interact with her clients in the kitchen and to share her special gifts. And we love the positive feedback that Crystal’s clients share with us. 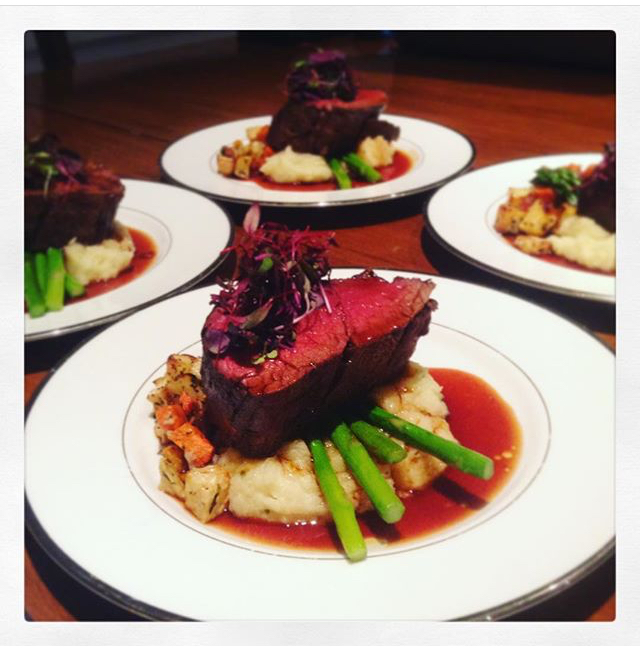 “The food, service and work ethic provided by Crystal was excellent. We will definitely have her back.” We feel repeat customers specifically requesting Crystal says it all! Coming from a creative family, Crystal was influenced by her mother’s graphic art business and her father’s culinary creativity. It is very evident she is a true creative chef and passionate about what she does. Socializing and eating together as a family was a key part of Crystal’s upbringing. Dinner time was an interactive time when her close-knit family would talk about the important events that happened throughout the day, and share their daily accomplishments and goals. These are core values that she happily shares with her manjya personal chef clients. Today, Crystal draws inspirations from family and friends, global trends and collaborative input from clients and past coworkers. After years of culinary schooling and time spent working in various establishments, 2018 marks the year where Crystal goes out on her own. She is taking the wealth of experience she had gained, to create something for herself. 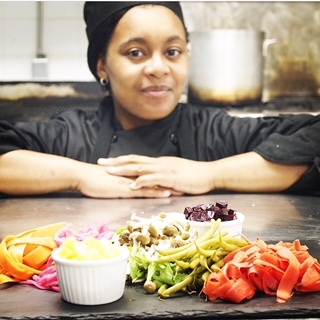 manjya has given Crystal the opportunity to access a pool of potential clients, as a personal chef. In these early days of her independence while making plans for her business, she can leave the marketing and client-sourcing to us!And we are so happy to have her. For an opportunity to connect with Chef Crystal Powell, contact manjya. Triumph in the Wake of Tragedy – Another manjya Success StoryHave you Considered a Personal Chef Meal for your Passover Seder? I’ve had the pleasure of tasting chef Crystal “magic on a plate,” and I was blown away by the delightful flavors in all the dishes and her professionalism. Loved both my experiences with crystal. She offered delicious menu options and she’s very creative with her ingredients and presentation. Easy to get along with and professional. A keeper for all my upcoming events! We are so happy to hear, Imma! Crystal is a gem!